People are starting to see the opportunities of starting their own online business. But many don't exactly know how to start. They fall back to the easiest option available which is social media. "Everyone is on Facebook and I'm quite good at it too, so maybe I will start selling there"
They would create a page or a new account for their business and start posting about their products. A contact number is also provided for those who are interested in what they are selling. Even better yet, they don't bother creating a separate business entity and just use their personal account. Sounds familiar? This may seem like the best and most logical way to start an online business and getting customers, but it really is not. There are so many disadvantages of using social media as the main platform for your online business. What you post will only be seen by a small fraction of the people who follow your business. Selling products on your personal account will annoy your friends. Selling on Facebook and Instagram is okay for testing out the waters. But you should eventually move to the next logical step which is to start your own online store. If you are like most of these "social media sellers" you are probably scared because you don't know how and worried that you might not be able to get people to visit your website. But the truth is you don't have to completely stop selling on Facebook or Instagram. I will share with you how you can make the transition from Facebook and Instagram to your own online store as smooth and as easy as possible. Explain in your about page that they can see more of your products and purchase online by going to your storefront. Make sure to provide the link to your store. Don't think it will trouble them to click on the link and visit your store. It will actually make it easier for them because they don't have to scroll to old posts to look through your products. Your storefront will also have a search bar so they can straight away search what they are looking for. 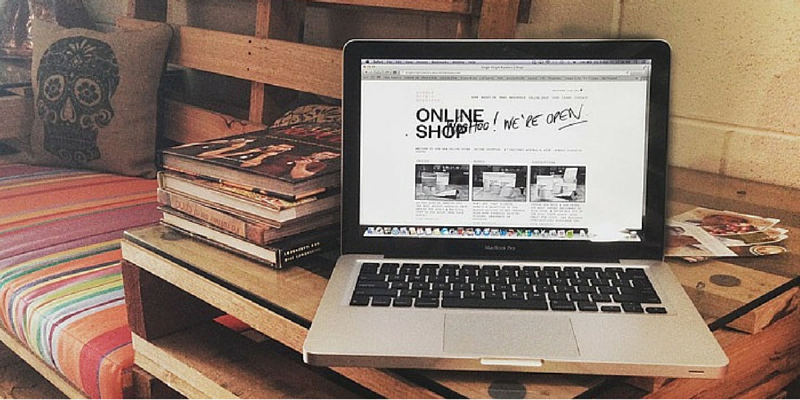 Since you already have followers for your business, you can start telling them about your new online store. List out the benefits of shopping at the online store compared to your page. For Facebook posts, you can directly provide the link in the text section. As for Instagram, you will need to mention that the link to your online store is in the bio. Who doesn't love discounts? Interested shoppers are willing to take the easy extra step just to get a bargain. Now remember, the important part is not the sales amount. This is to get them to go through the buying process. Once they see how much easier it is to shop at your online store, it won't take much to convince them to buy again. If you already have a customer base, that's great. Personally tell them that you now have an online store which provides more convenience for them. Even better if you have their email address. You can import your customers' email addresses to EasyStore and send out an announcement newsletter to all of them. This will save you a lot of time than having to send them a message or email one by one. Over time you will discover that solely relying on social media platform to sell your products is a dead end and starting your own online store is the right answer. You don't have to completely abandon social media. You can still use it as your marketing platform to bring traffic to your store. As a result, visitors will have a better shopping experience and will continue buying from you. Choosing your selling platform smartly as a new seller.